Now days, every person of the world want to live in the most secure, happy and peaceful, tension free places, if we talk about peace in any country which is measured by Global Peace Index GPI, before travelling, to get education, research work in any part of the world Global Peace Index GPI will help you and tell you the Most Peaceful Top 10 Countries Of The World 2017. 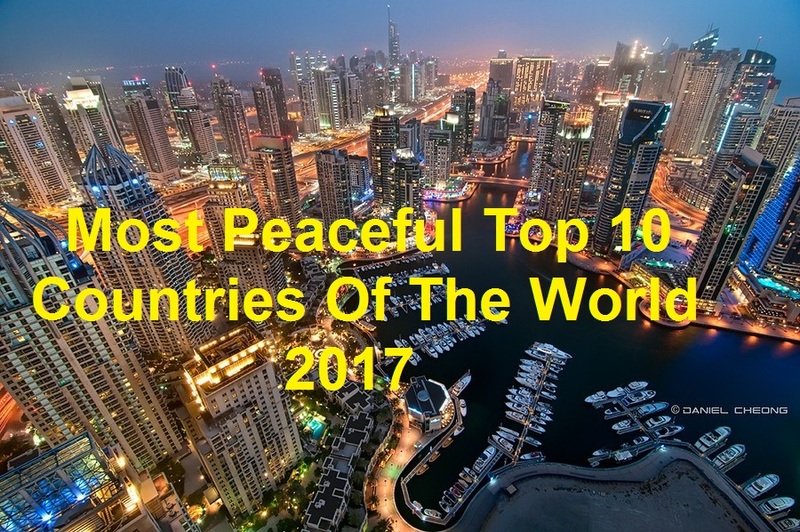 Most Peaceful Top 10 Countries Of The World 2017 ranked on the basis of different factors & parameter like absence of war, excellent schooling, very good relations with neighboring states, contributions in maintaining peace level of United Nation standard, very low and control level of violent crime and many others. Slovenia is one of the most popular European countries as officially known as Republic of Slovenia; state is located in southern Central Europe, country is also bordered with some another beautiful peaceful countries of the world including Austria, Italy and Hungary. One of the most prominent & soft countries of Asia, Japan; it is also called as the land of rising sun, it is island country in the East Asia, Japan is worldwide popular because of to its latest technology, autos, machinery and electronics. Biggest country in the northern part of North America. According to area, Canada is second largest country of the world with its great which is 9.98 million square kilometers, Canada has largest land border with United States of America. Climate of Canada’s much parts is much cold. Federal Republic state of Europe, Switzerland is officially known as Swiss Confederation, it has more than 26 cantons and country is located in Western-Central Europe and popular before the world due to its natural beauty and best economy therefore also called as cleanest country. Portugal is officially known as Portuguese Republic is a European country on the Iberian Peninsula, in Southwestern Europe, it is also called as westernmost country, it has long border of 1,214 kilometers with Spain and according to reports, this is longest continuous border within the European Union. New Zealand is another beautiful country which is located in the southwestern of Pacific Ocean, it is situated just 1500 kilometers away from Australia; Auckland is its most populous city. Austria is officially called as Republic of Austria; this federal republic country is most populated per kilometer, country is also bordered by peacemaking countries including Hungary, Slovakia, Slovenia, Czech Republic and Germany. Officially known as Kingdom of Denmark; Denmark is a Scandinavian country in Europe, country is smallest as well as southernmost of the Nardic countries, this country is also happiest because of least corruption, despite of this; it has also advanced healthcare system, high literacy rate, low crime rate and high standards of living making this beautiful country exceptional in the world. World Most and No.1 peaceful country Iceland is officially known as Republic of Iceland, country is famous Nordic island country in the North Atlantic Ocean; it covers total area of 103,000 square kilometers with maximum population of just 332,529 inhabitants therefore it is most sparsely populated state of Europe, capital has more than two third of total population of the country. 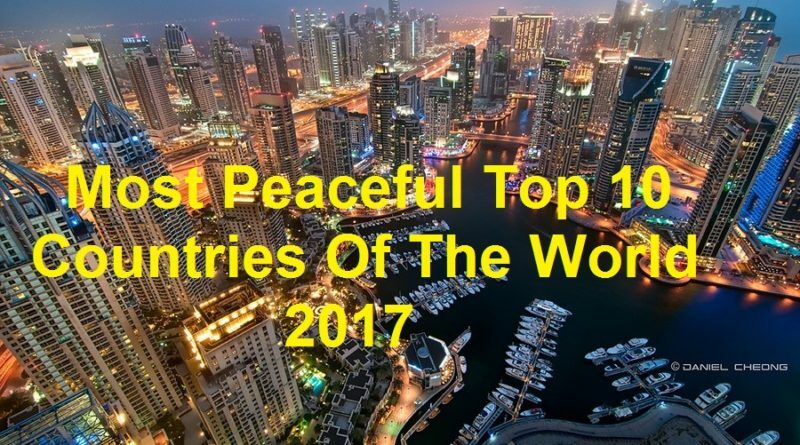 Before planning your summer trip, vacations, higher study, research work you must know the Most Peaceful Top 10 Countries Of The World 2017.